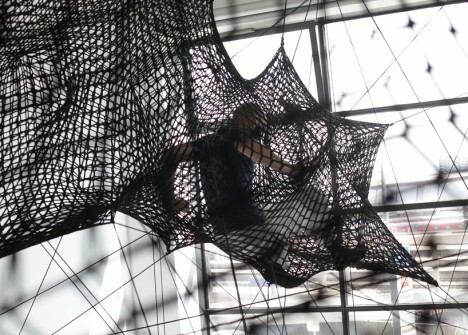 Test your climbing skills with a vertical ascent through three stories of a gallery atrium with the newest interactive installation by design collective Numen/For Use. 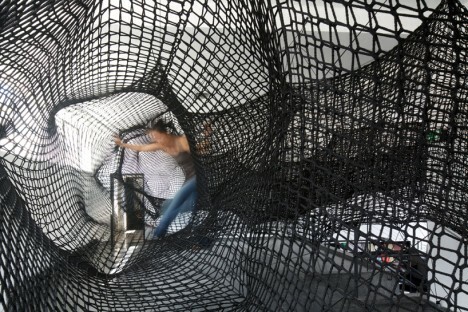 Occupying Austria’s Architekturforum Tirol, ‘Tube’ is a network of connected safety nets suspended from the walls and ceiling, inviting visitors to crawl, slide and scramble until they hit various dead ends providing vantage points out the windows or onto other areas of the installation. 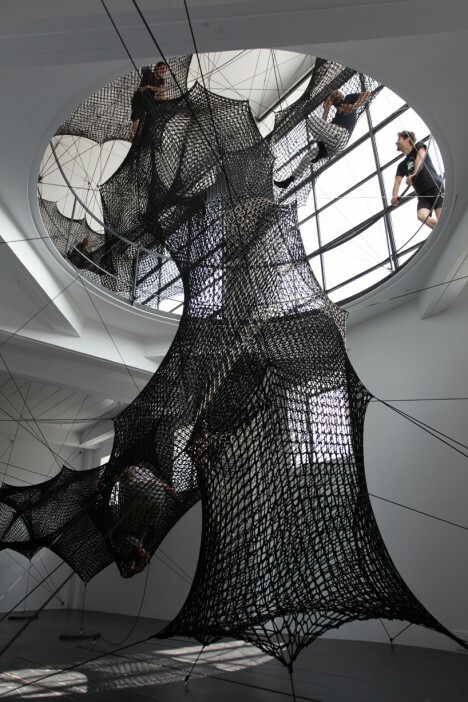 The angles are as irregular and organic as if they’d been woven by a spider or silkworm, creating a sort of human cocoon. 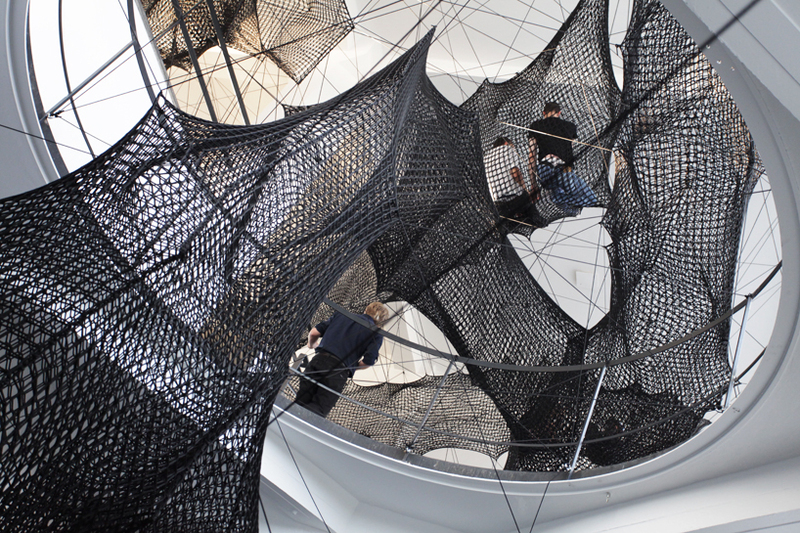 The cables attaching the installation to the wall are elastic so the whole thing gently bobs up and down with the movement of its occupants at any given time. 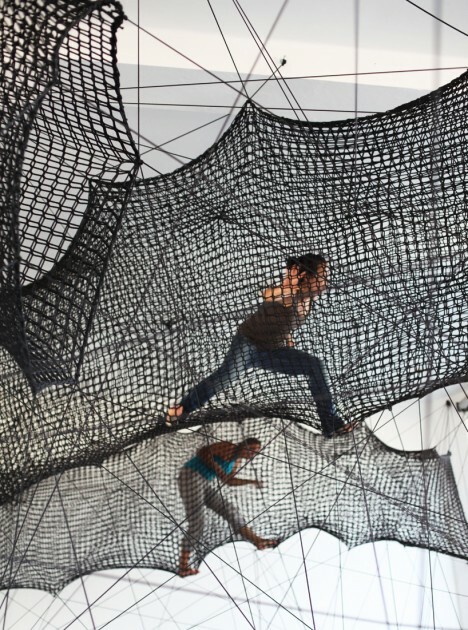 The structural support is designed in such a way that anyone climbing inside experiences the sensation of free-floating. 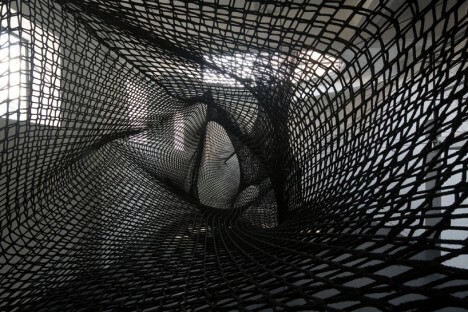 Stretching upward through an oculus in the gallery’s second floor, ‘Tube’ is an abstract composition, its jagged black form like a brushstroke against a network of erratic geometric lines. 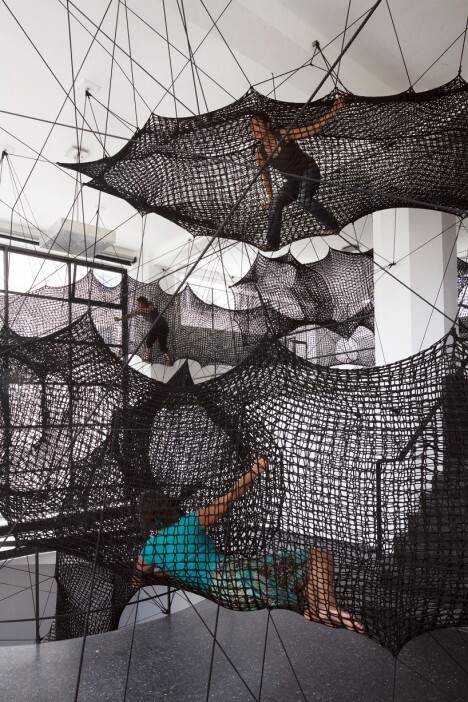 Contrasting against the white surfaces of the space, the installation stands out in stark relief, placing the emphasis on the shape of the nets and the bulges created by the people moving around inside. 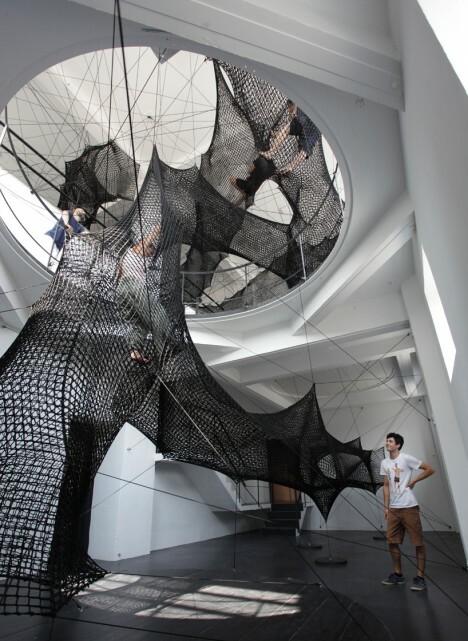 Numen/For Use previously created a grid of climbable strings, a bounce house for adults and a network of translucent tunnels made of packing tape, humans crawling around inside like trapped insects.